Just one of the many apartments we’ve rented through AirBnB. This one, located in the heart of St. Remy, is where we based ourselves for a week in Provence, France. Ever since our first experiment with AirBnB (where we snagged a New York City room that cost us 60% less than the cheapest traditional hotel rate we could find) we’ve used the house-sharing site to book dozens of apartments in places like Hawaii, D.C., Barcelona and Paris. Over the past couple of years it has become one of our go-to sites for lodging. After booking an apartment in Northumberland the other day, we received a message informing us that we could offer our friends a $25 credit toward their next AirBnB rental. Considering that we view all of our readers as dear friends, we wanted to extend that offer to each and every one of you. All you have to do to claim your credit is click this link or the button above and register as a new AirBnB user. And all that you have to do to register is enter your name, e-mail address and choose a password. You now have a shiny new AirBnB account. Best of all, AirBnB will then automatically deduct $25 (or the equivalent in your home currency) off your next booking of $75 or more made with that new account. The credit is technically only available to new AirBnB users, although it seems as if existing users can still claim the discount by logging out of their current account and setting up a new one using a different e-mail address. In terms of full disclosure we want make clear that we also get a $25 credit for anyone who rents a place through this offer. It’s obliviously a win-win scenario – you get a $25 AirBnB credit and we get one too. But we nonetheless want everyone to know about these kinds of arrangements up front. In the case of AirBnB, we’ve written favorably about them in the past when we got nothing in return, so it’s not like we’re being paid to endorse them. They already got our endorsement for free. This time around, though, we’re offering $25 discounts to anyone who follows through on our advice. If you ever thought about giving AirBnB a try, now is a great time. 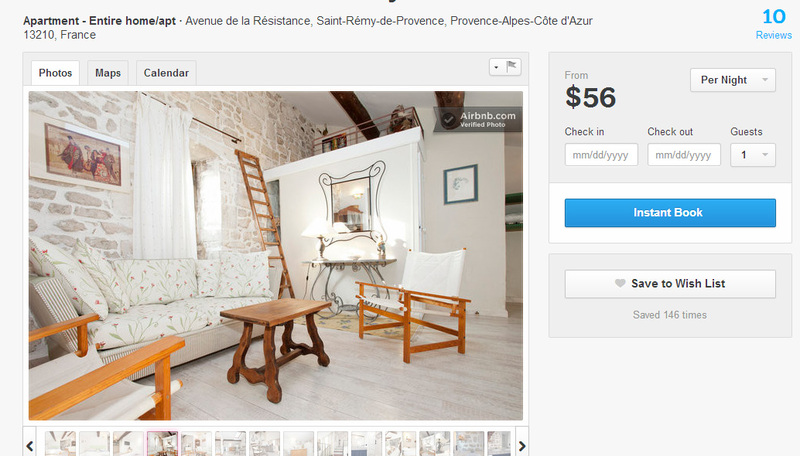 AirBnB is kind of like a modern classified ad listing rooms for rent all over the world. In this case, though, the word “room” is applied very loosely. Listings include nearly every accommodation imaginable: from apartments to castles and igloos to lighthouses. You’ll find entire houses on the site, spare bedrooms, and even sometimes just empty sofa beds. What kind of place you choose is entirely up to you. In our experience AirBnB hosts are as diverse as their properties. Some run their rentals like a hotel while others create more of a B&B environment. Sometimes we never even meet the owner. On other occasions they’ve cooked us breakfast. Once again, which way you go is a matter of personal preference. Finding listings on AirBnB is straightforward for anyone who’s ever used an online hotel booking system. You plug in your desired location and travel dates and AirBnB returns a list of properties that match. It’s easy to filter that list by property type (are you looking for an entire home, a private room, or a shared room? ), by price or by dozens of other criteria. Once you find a place you like you often have to request a reservation. Some hosts make their properties available to “book instantly” just like an ordinary hotel. But because many of these listings are in personal residences, the owners sometimes reserve the right to pick and choose who they accept. For that reason it’s a good idea to create a personal profile on AirBnB’s site before you make a booking request. That way the host knows a bit about you, which helps them get comfortable that you’ll take care of their property and be good guests in their home. This obviously makes sharing sites like AirBnB a little more personal than the cold professionalism of traditional hotels. But that’s just one more reason we prefer them. But you have an advantage we did not when we first started using AirBnB: you get to try them out at a discount! So don’t forget to claim your $25 credit. If you’re inclined, it is possible to create a new account using a new e-mail address. You’ll have to make sure to log out of your existing account first, but it should work. 😀 ok! thanks again for the info! I LOVE AirBNB! I used it for the first time in Lyon, FR last year. I will be using it again in Montpellier, FR. It is great for us when we want a “bigger” base for groups traveling! Airbnb is fabulous–even if you aren’t going anywhere,,,just imagining what is possible at such a personal level. Too bad, I signed up and didn’t know about the credit. I would have given it to my daughter who told me about it in the first place. Happy trails!